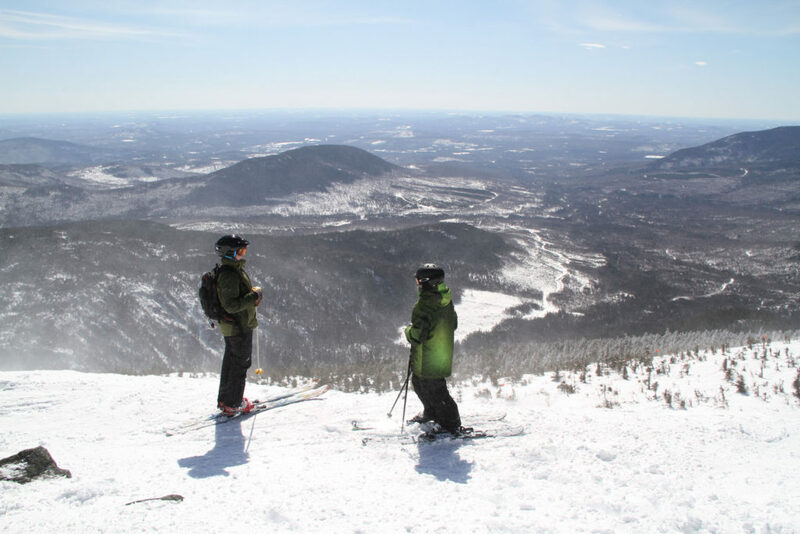 Maine, the north eastern most state, bordering Canada, has big winters, and big mountains. 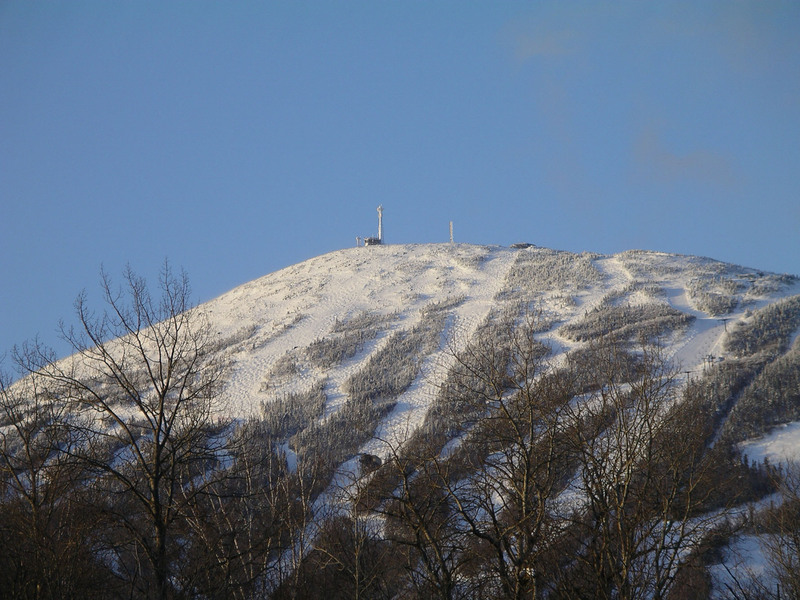 After all its the end of the AT, Appalachian Trail. 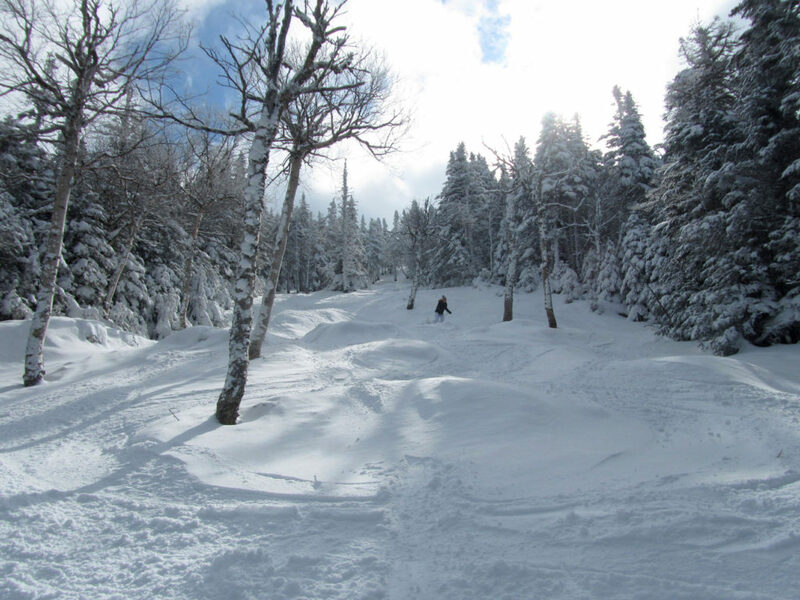 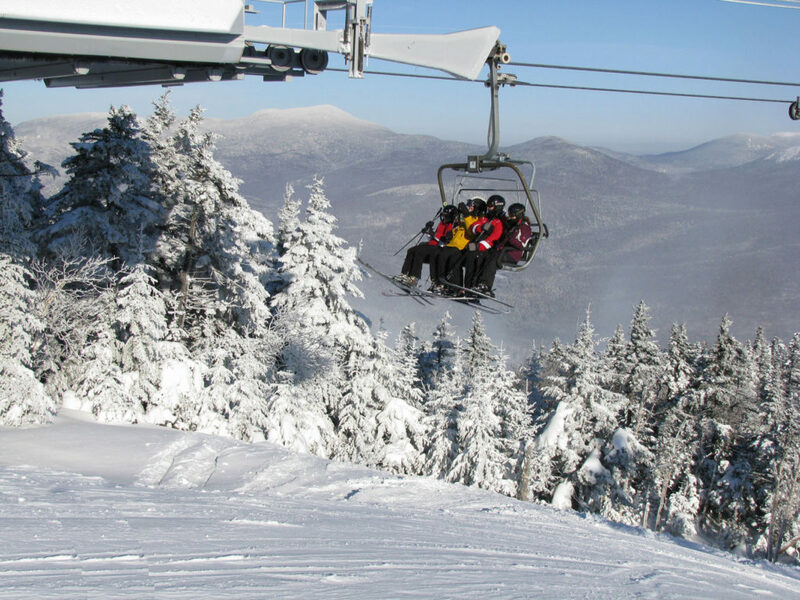 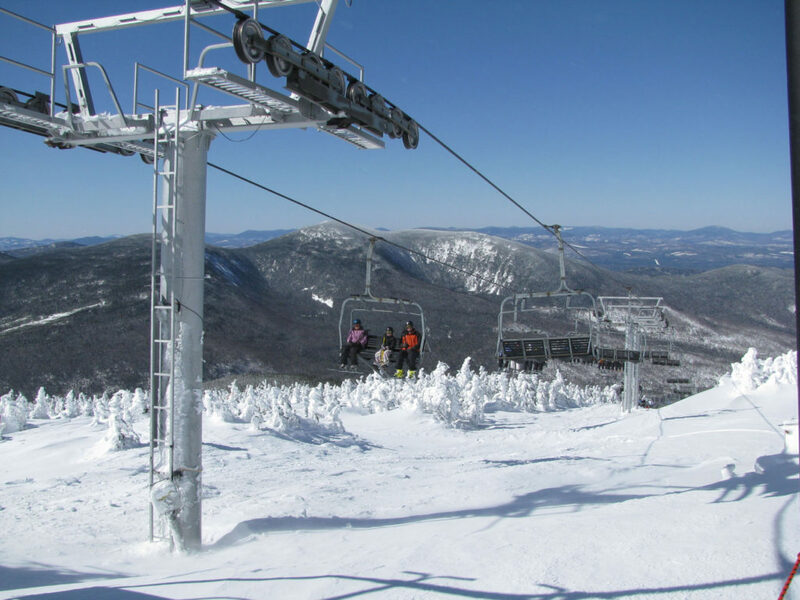 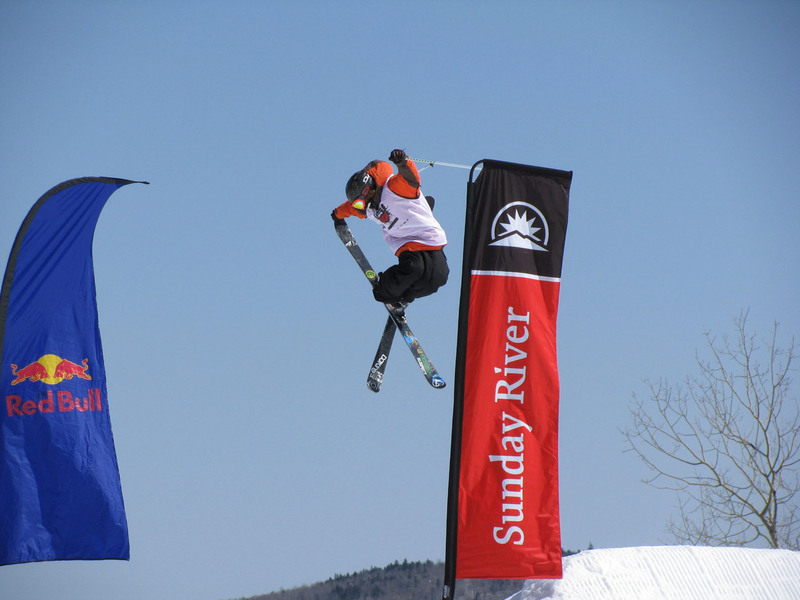 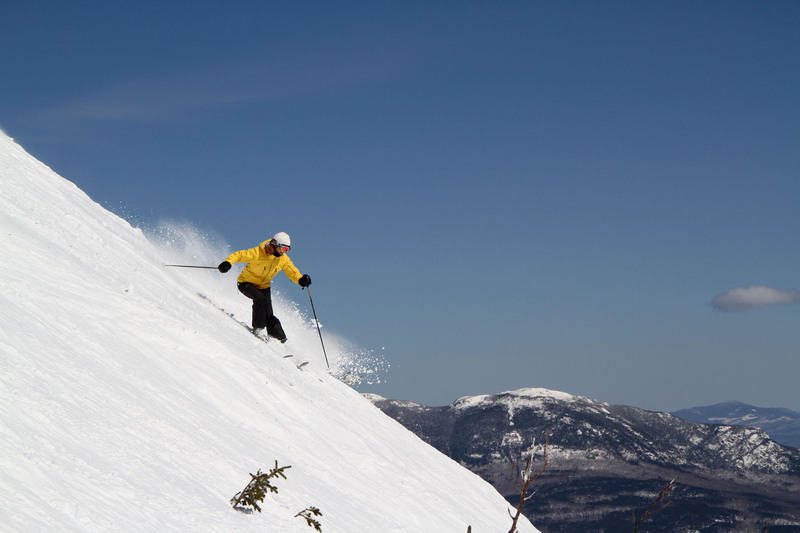 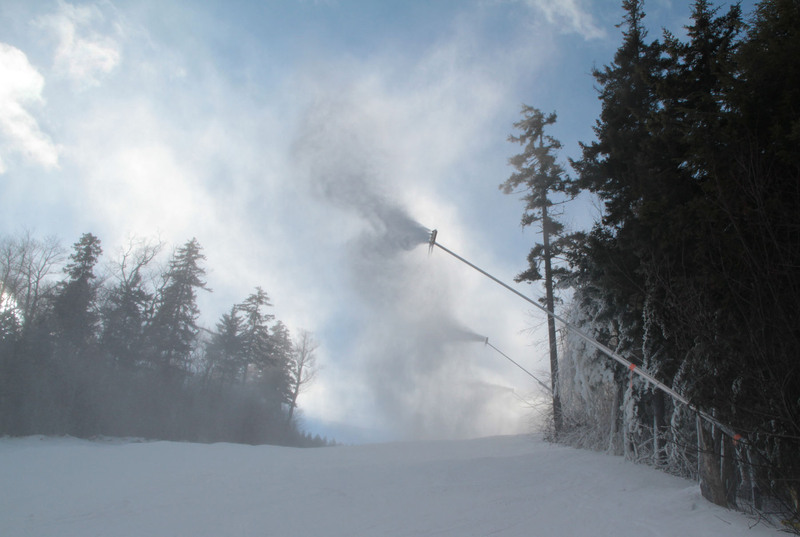 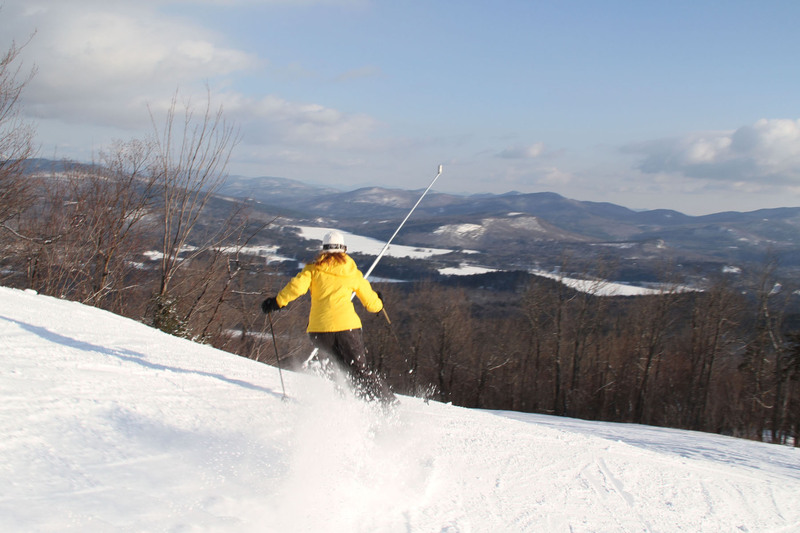 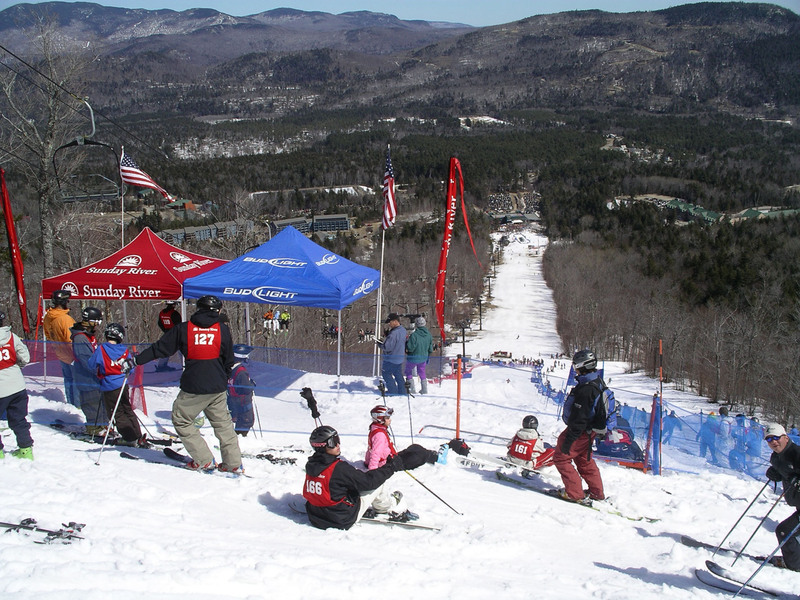 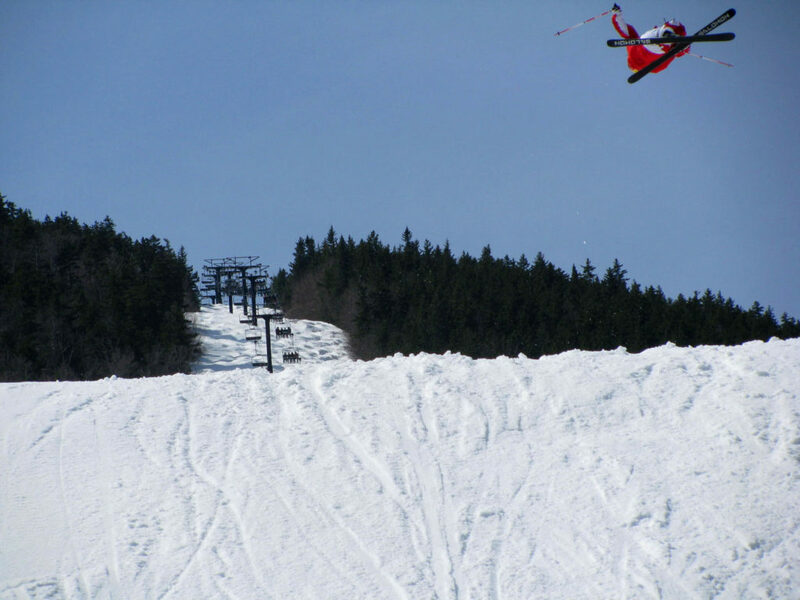 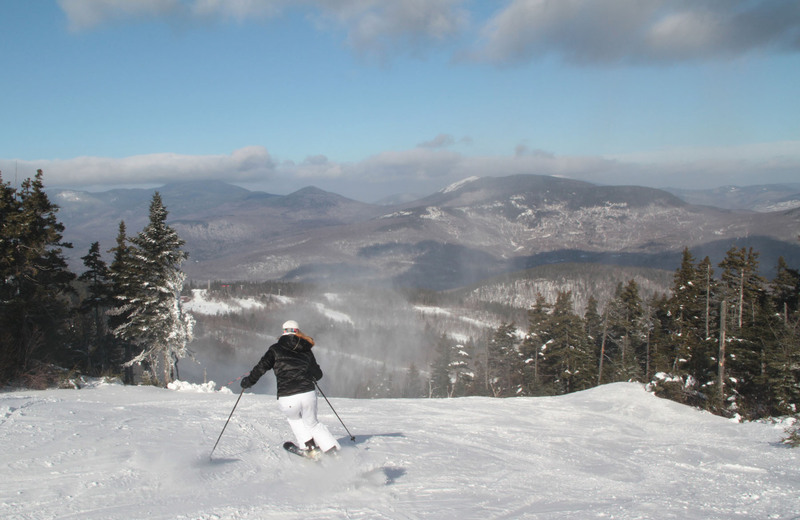 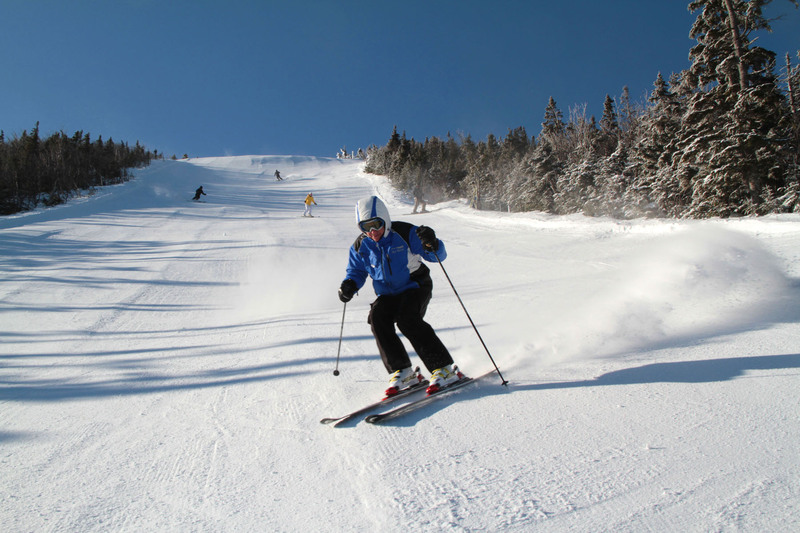 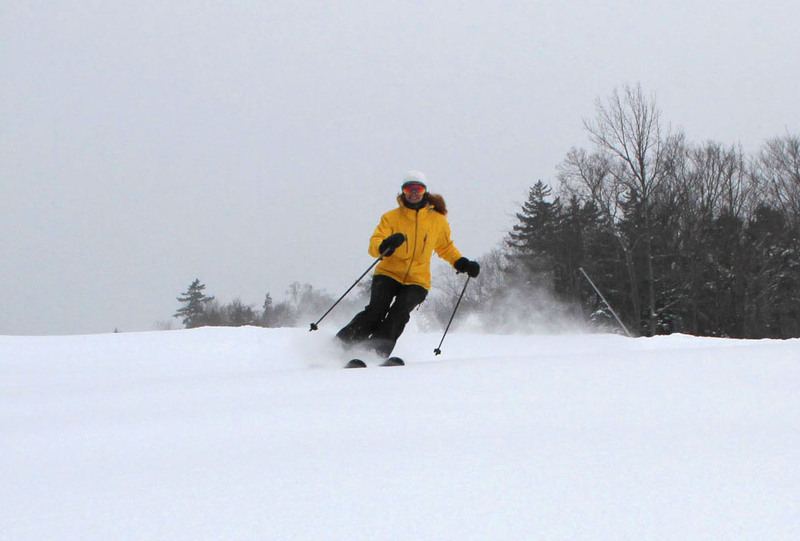 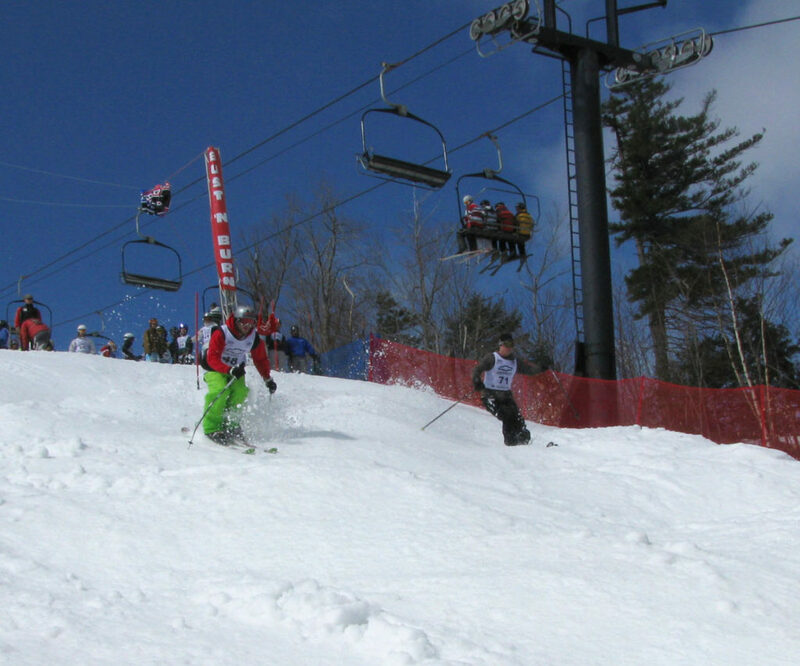 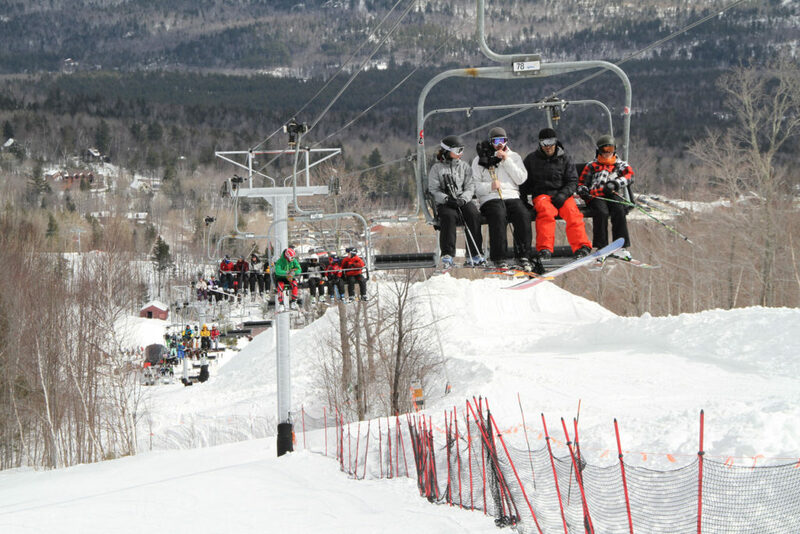 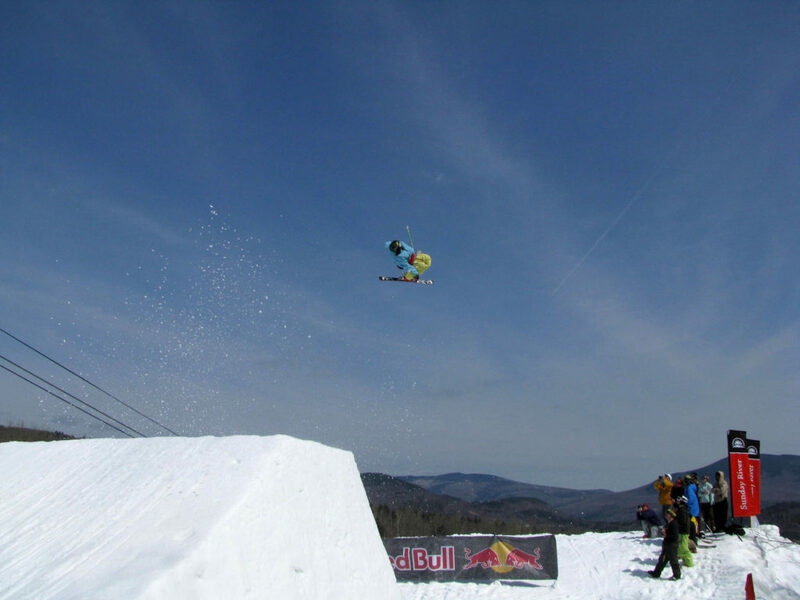 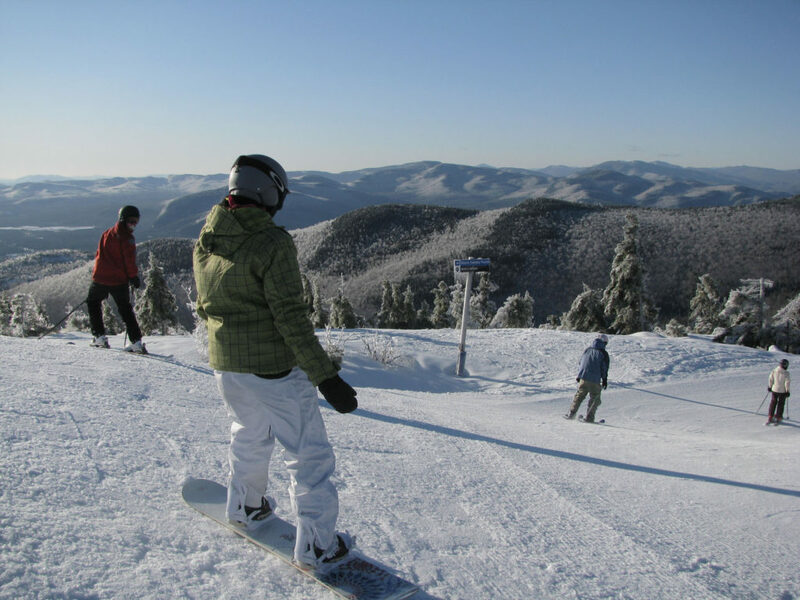 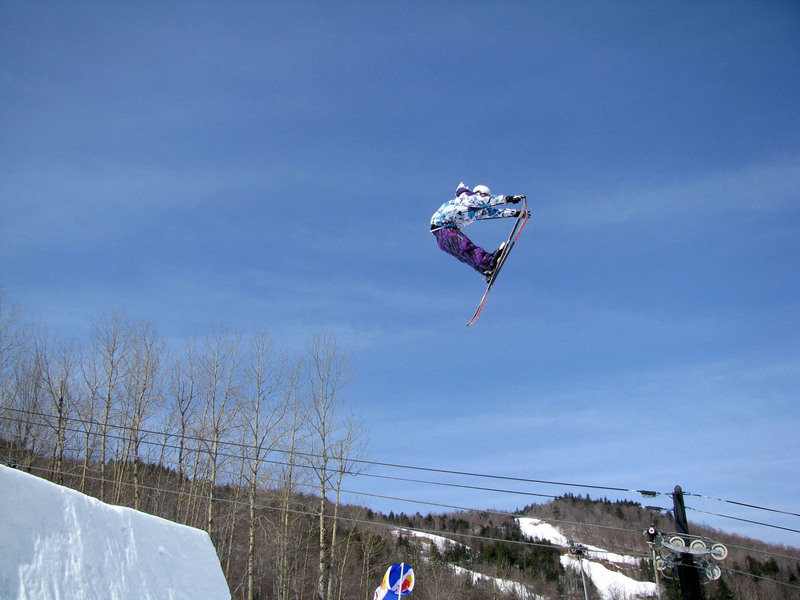 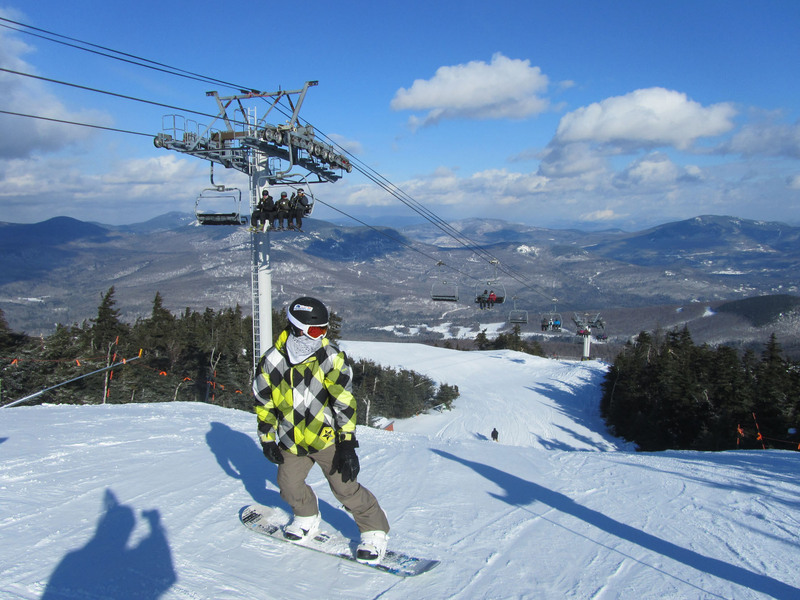 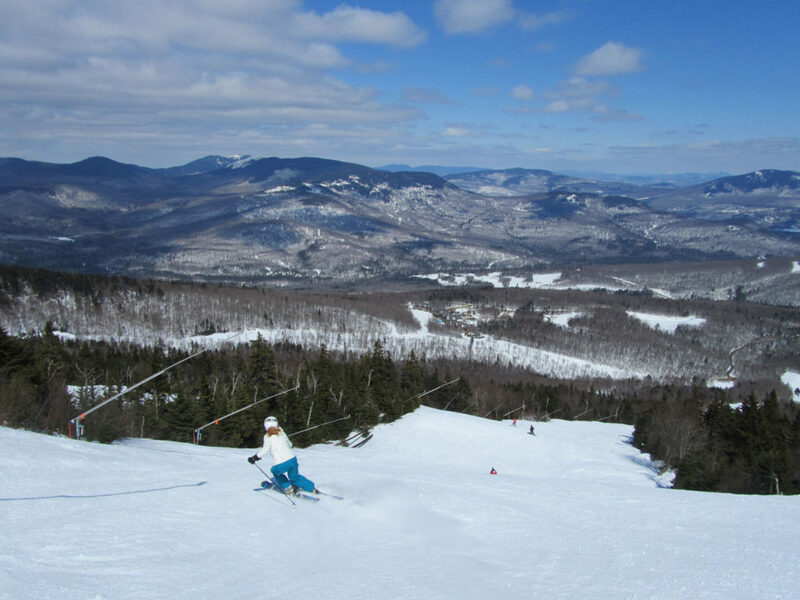 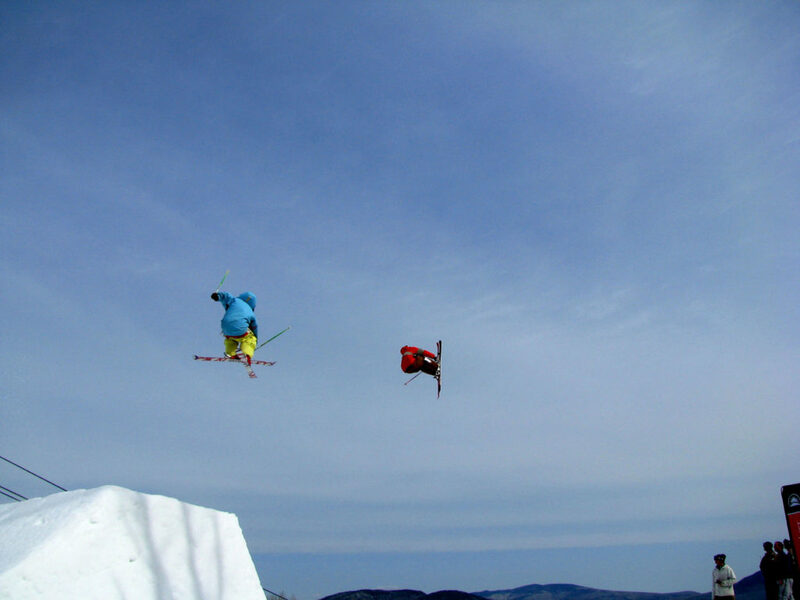 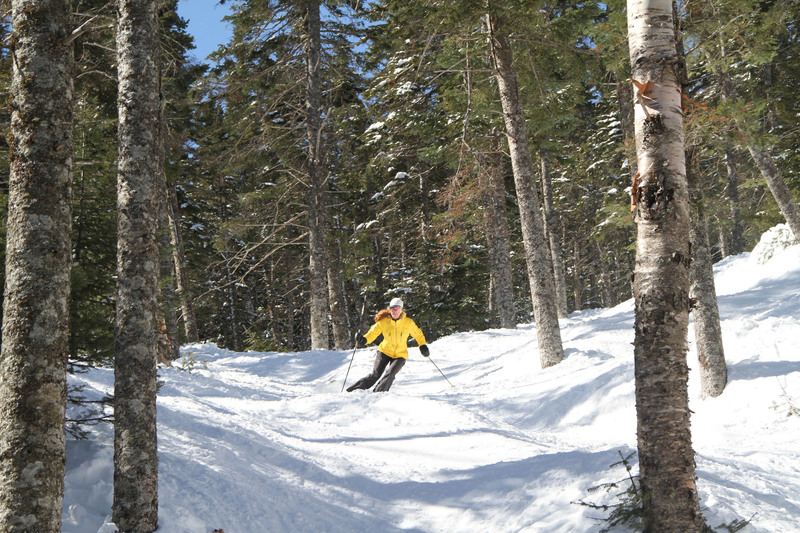 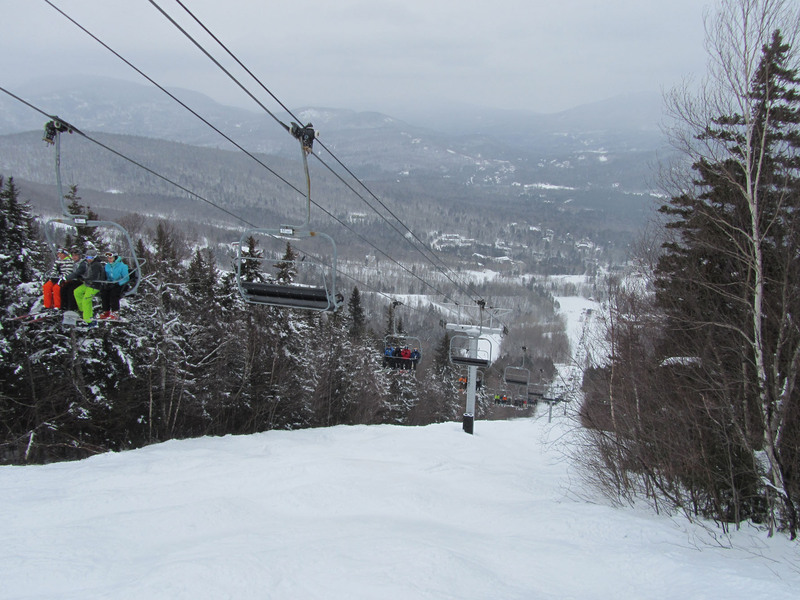 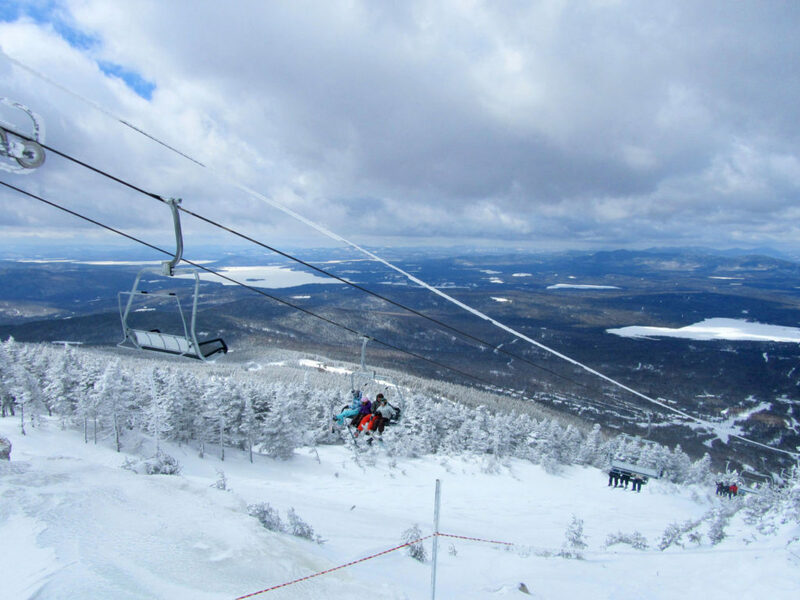 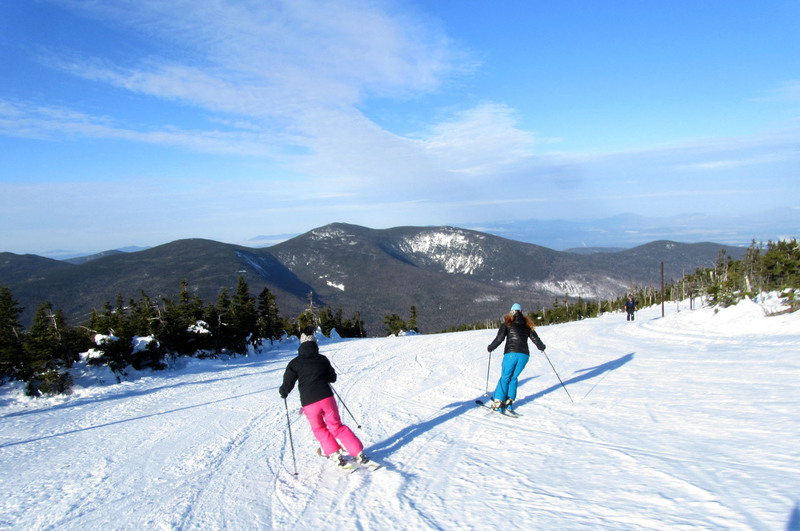 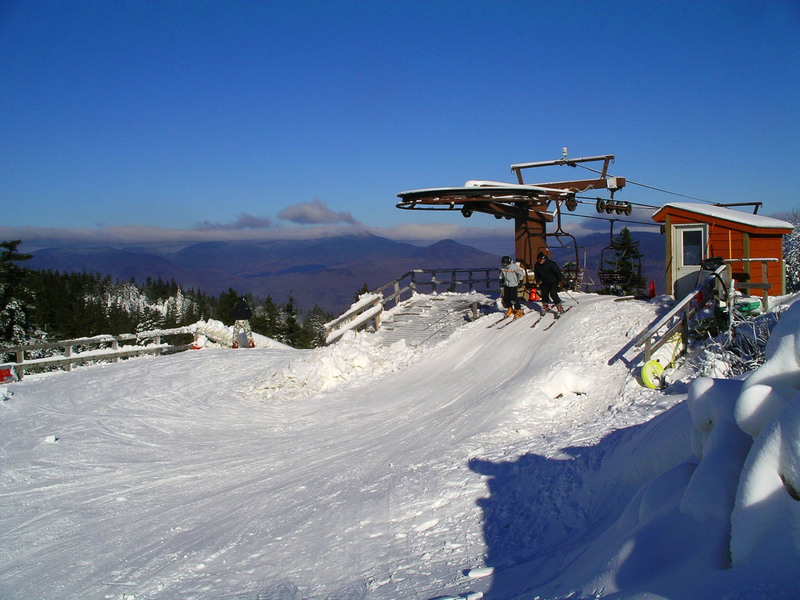 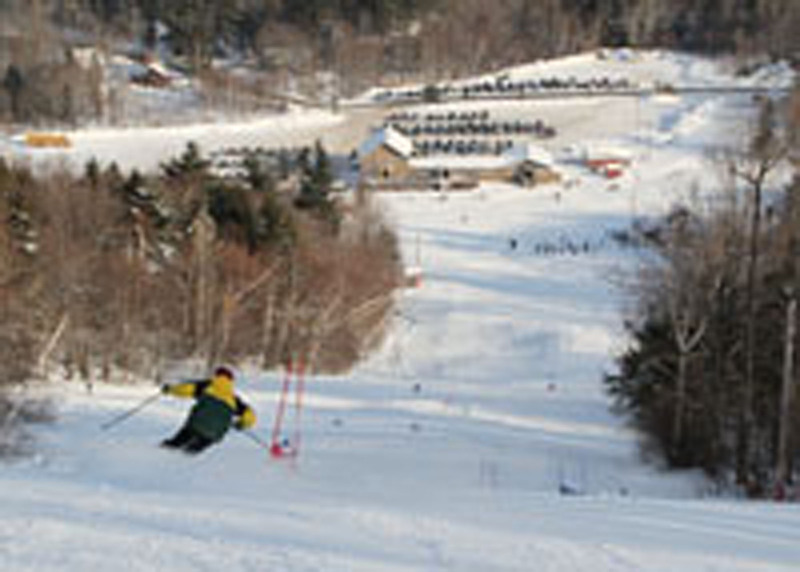 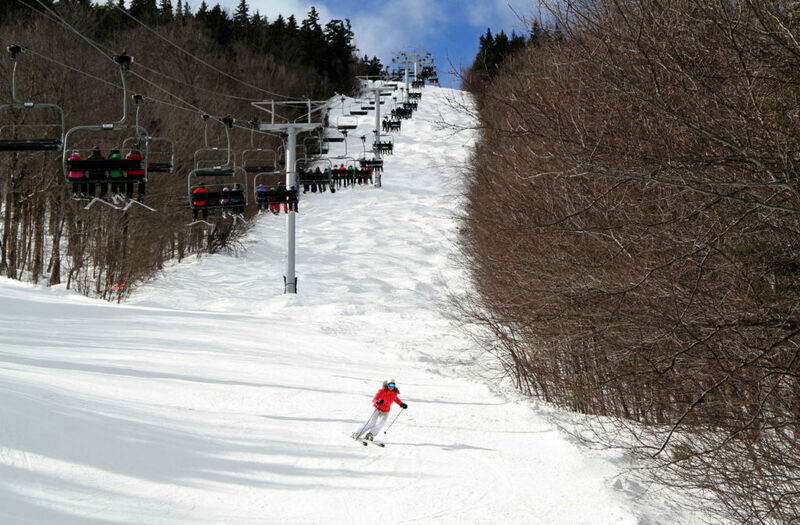 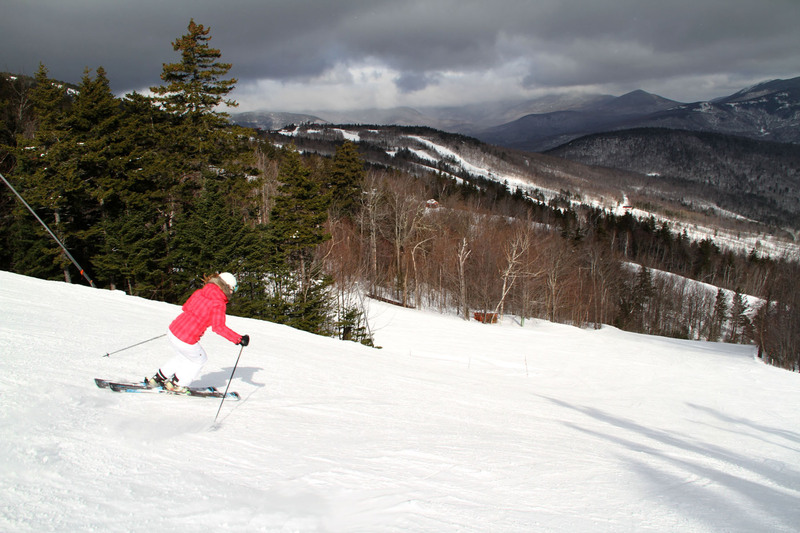 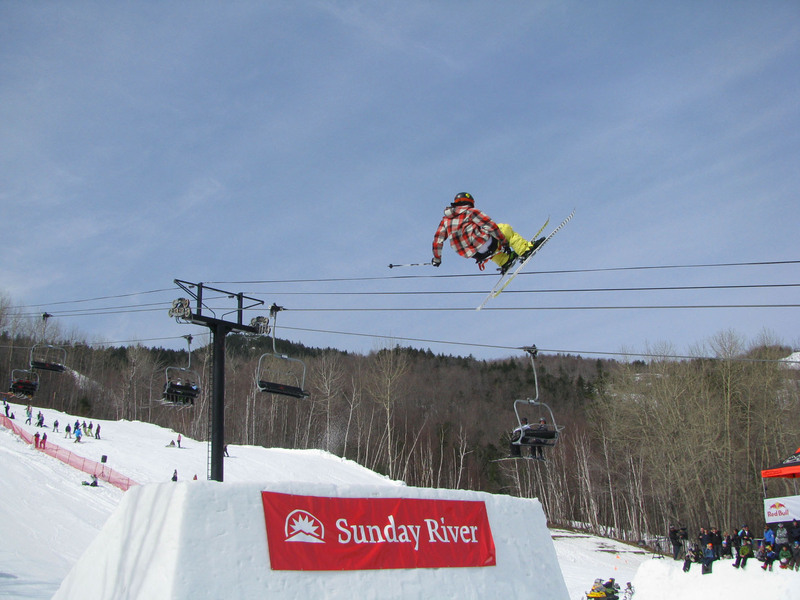 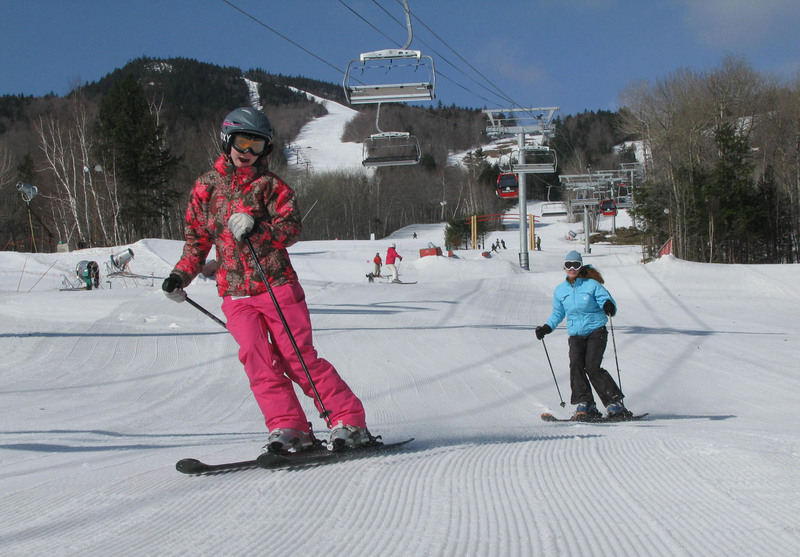 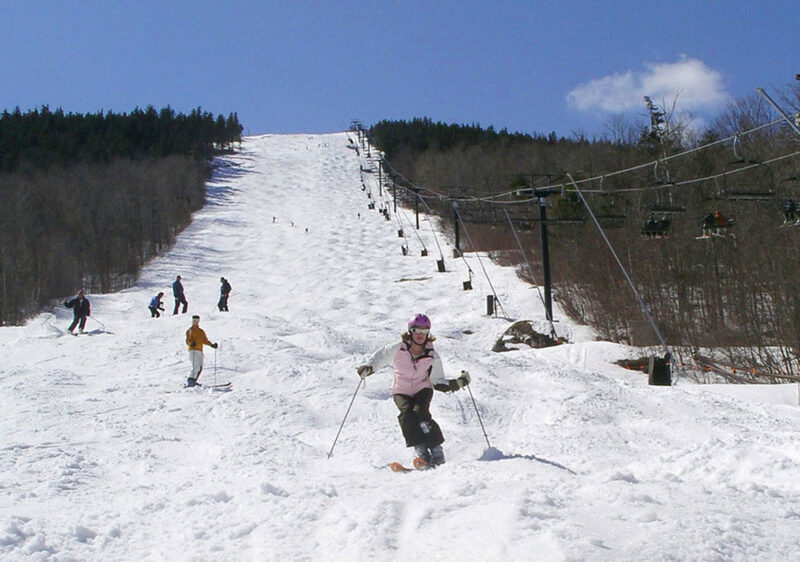 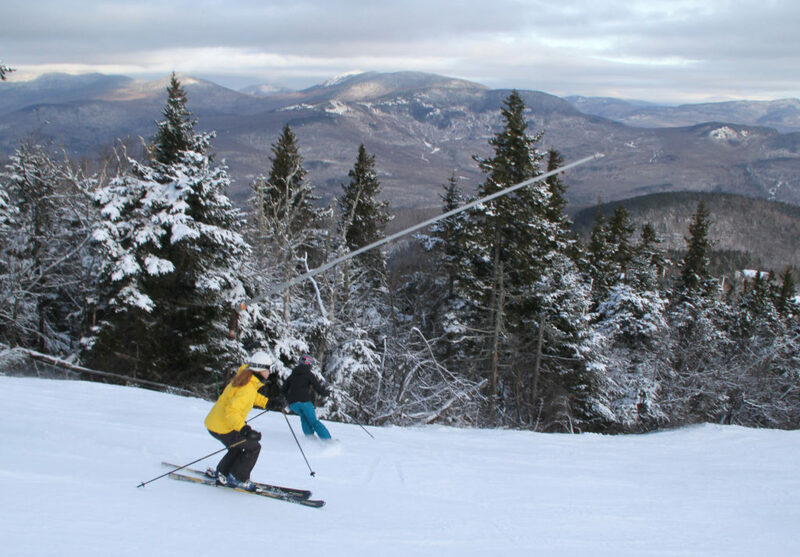 Skiing in Maine ranges from rugged snowfields at Sugarloaf to the best snowmaking and grooming in the East at Sunday River, even one ski area that overlooks the Atlantic – Camden Snow Bowl. 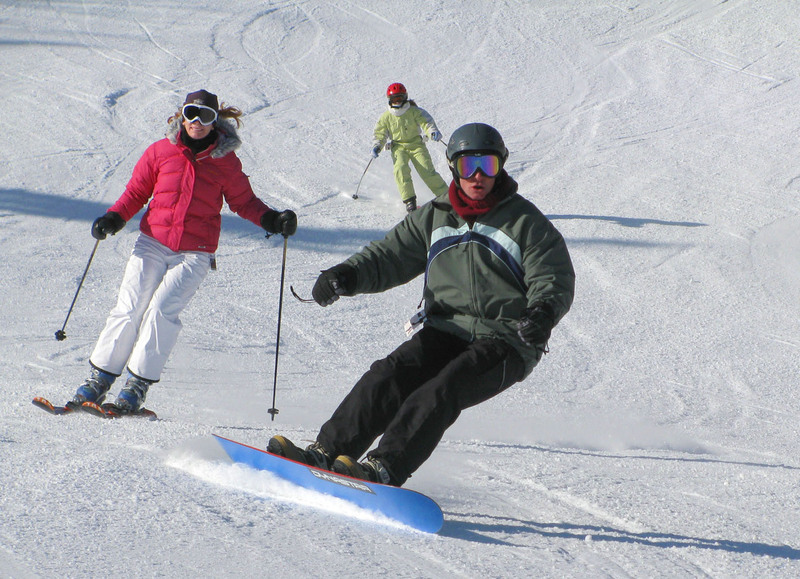 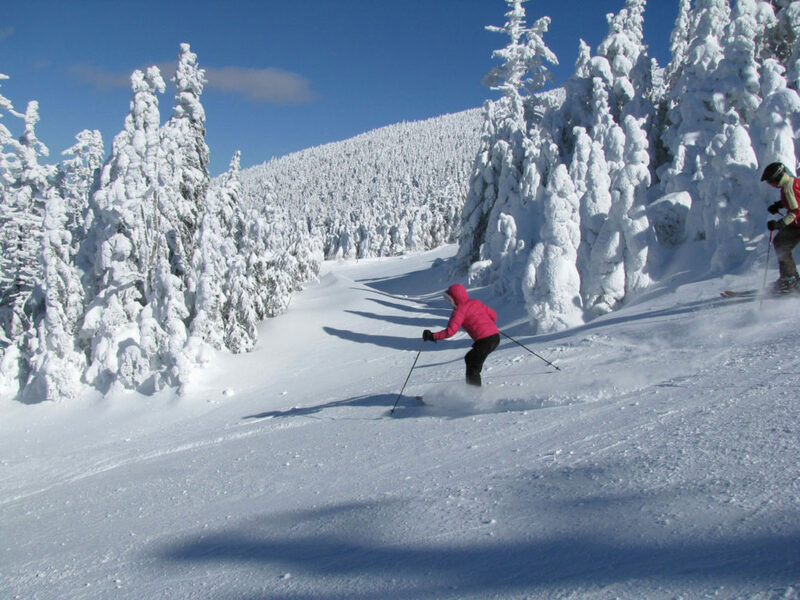 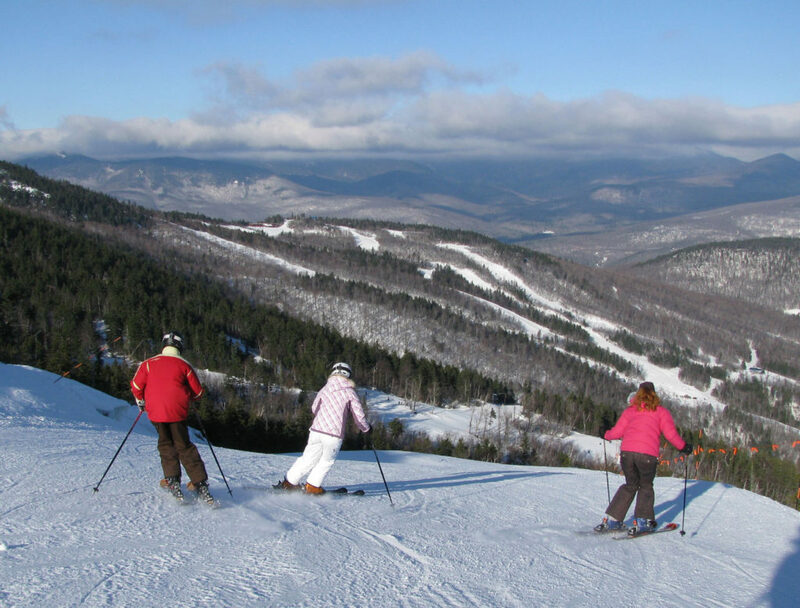 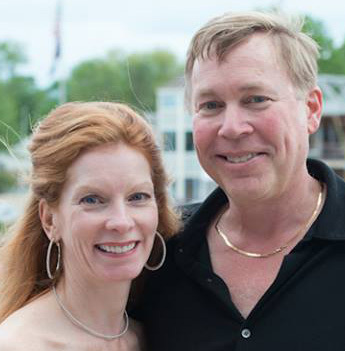 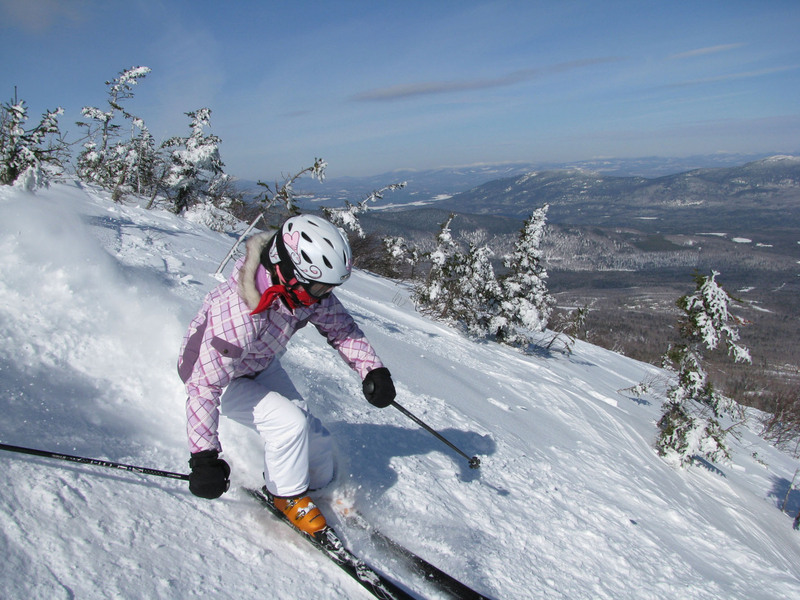 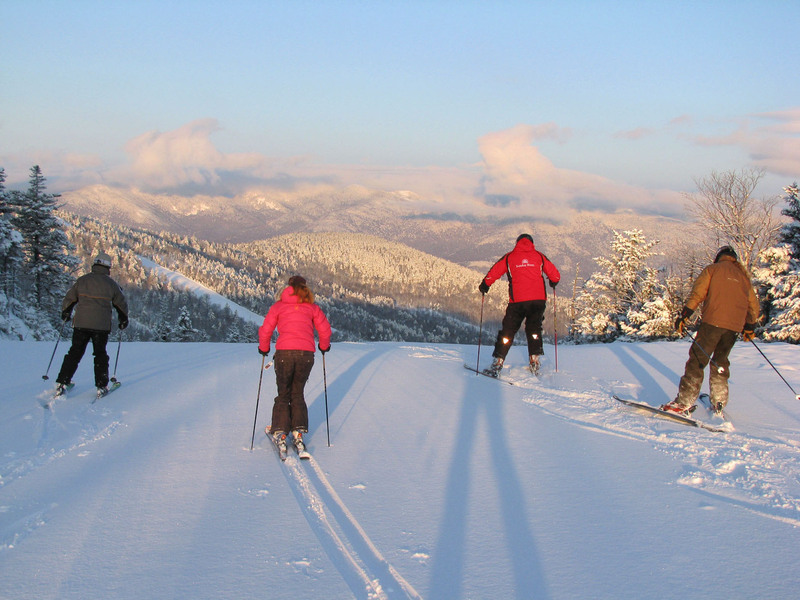 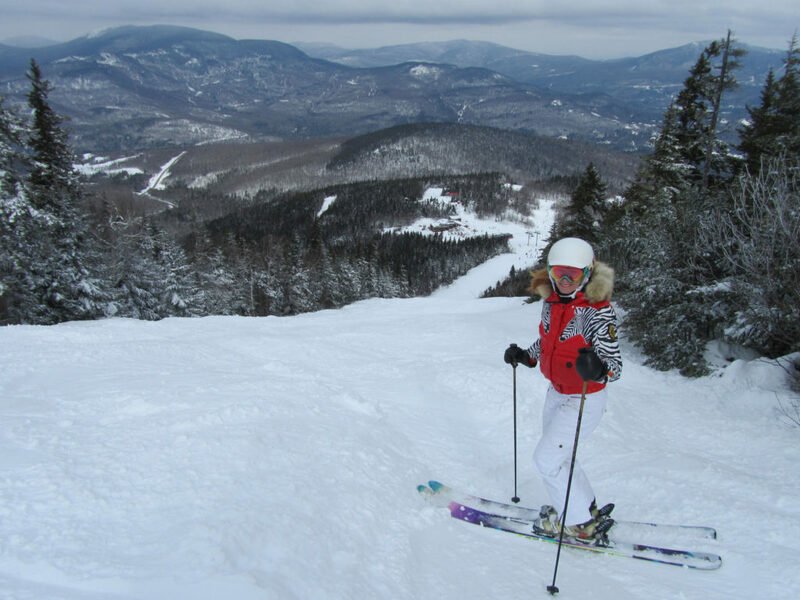 While a Maine ski vacation isn’t exactly luxurious, you will find wide-open ski slopes, on mountain lodging for ski in ski out convenience, and fun après ski with the locals. 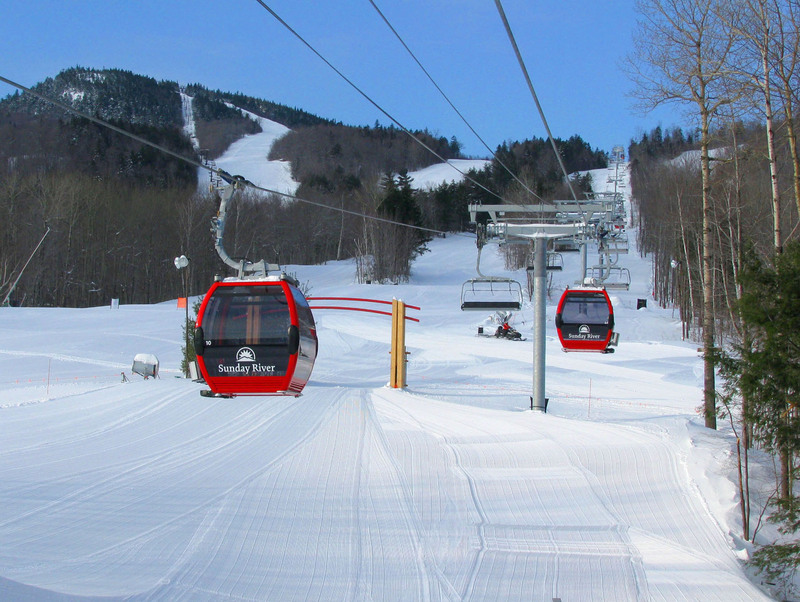 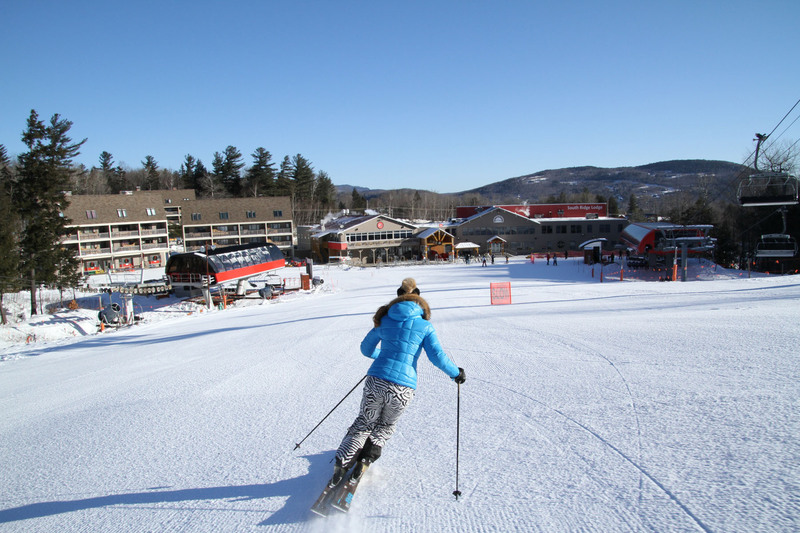 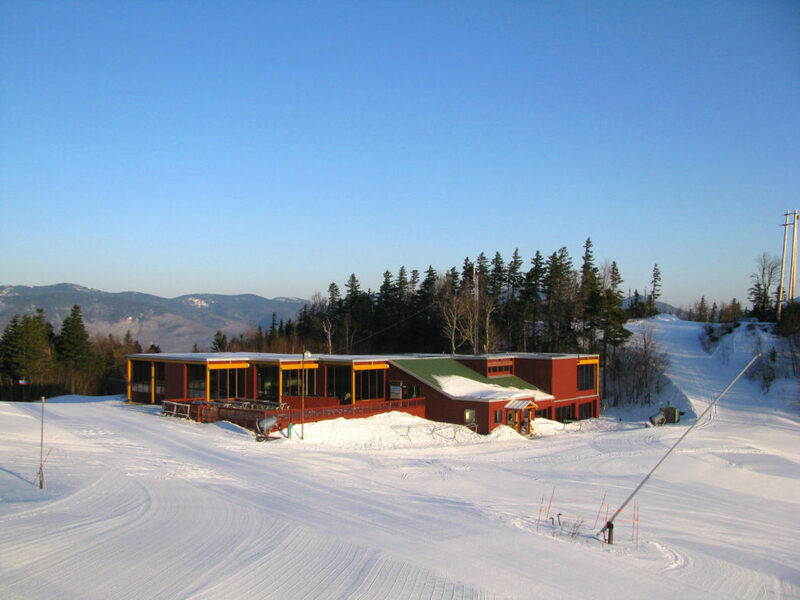 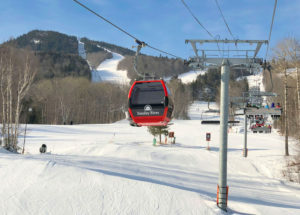 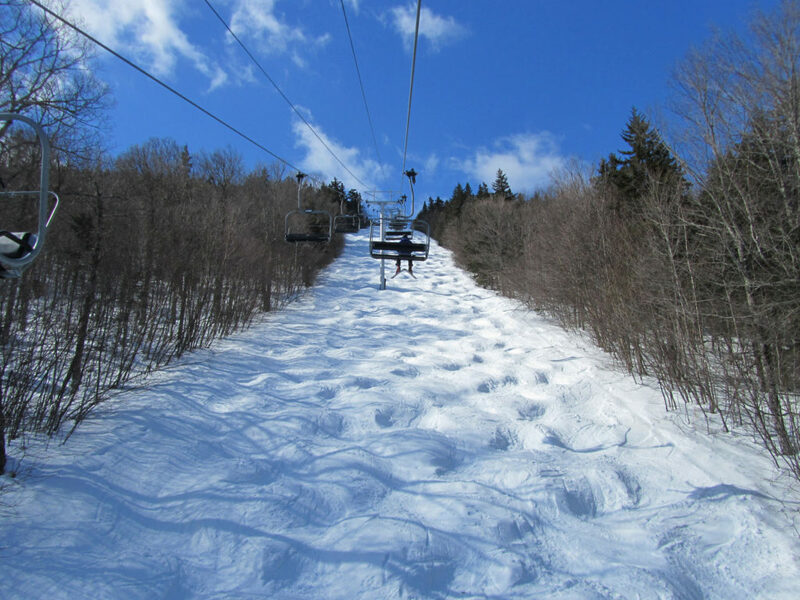 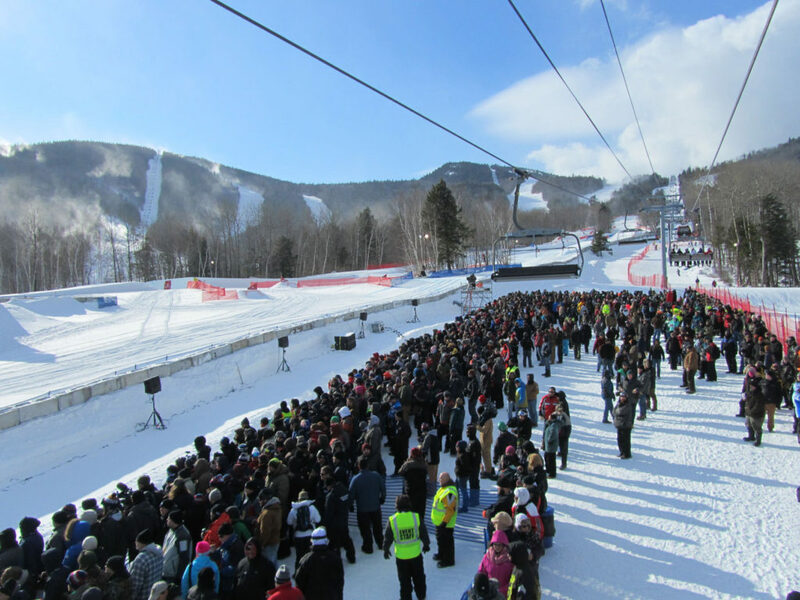 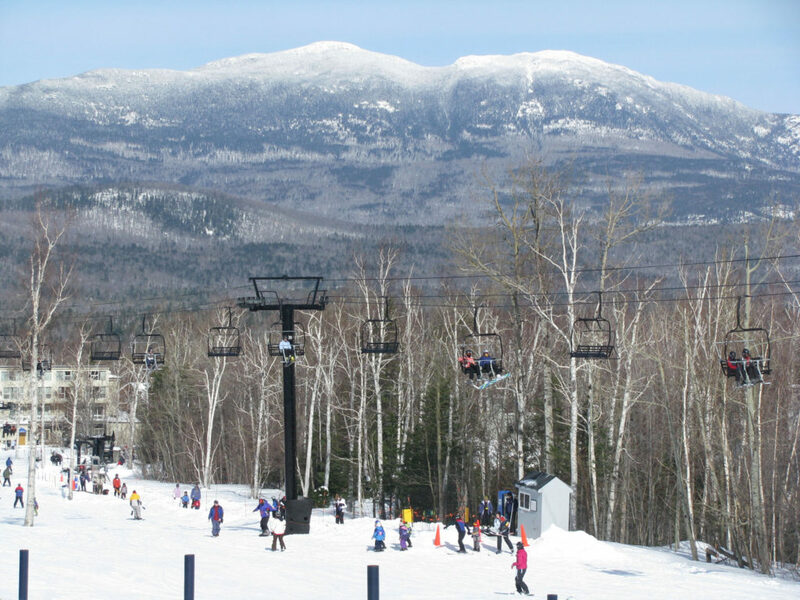 Sugarloaf is the largest single Maine ski area, with the most acreage – 1,230 -in New England, and a fiercely loyal fan base – Sugarloafers they coin themselves, and they don’t ski anywhere else. 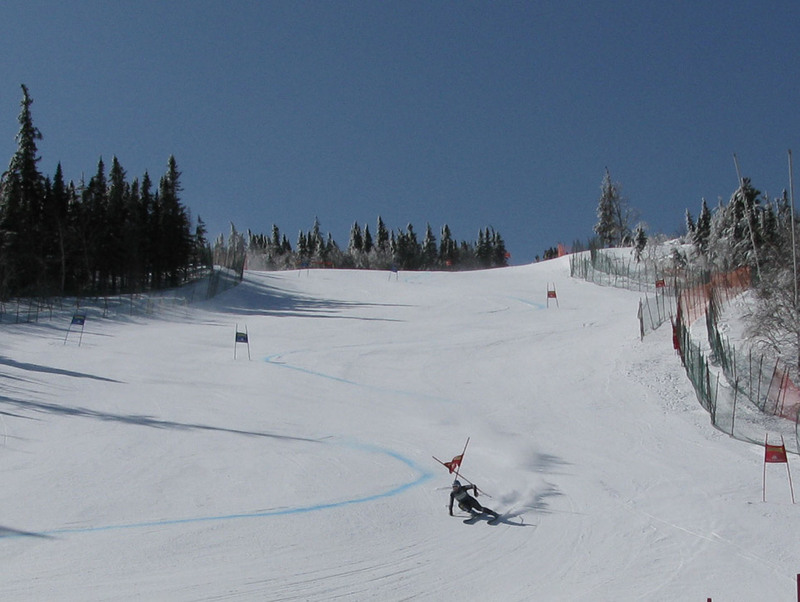 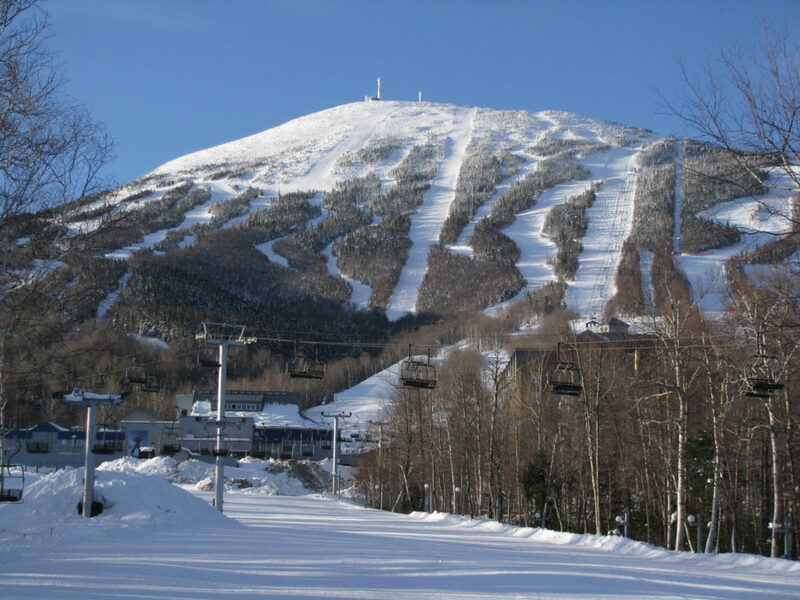 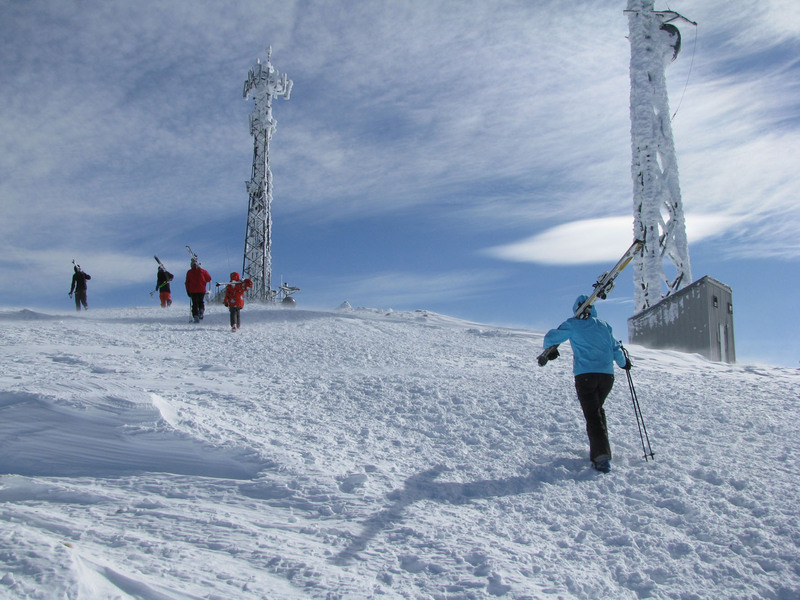 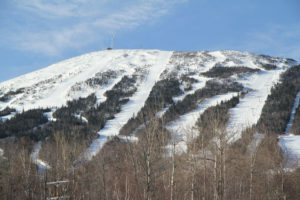 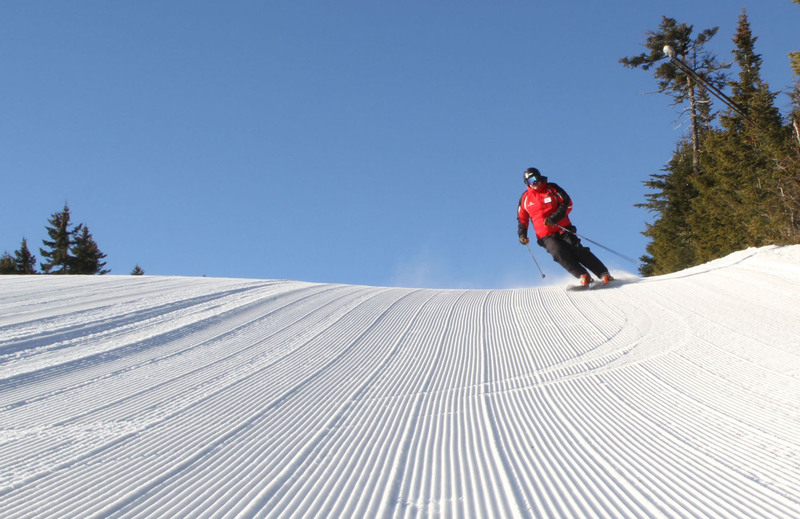 Sugarloaf has big mountain terrain, even summit snowfields on a big snow winter and cat skiing on Burnt Mountain, superb scenery and popular o- mountain restaurants for ski in lunch and après ski – like Gepettos, Bullwinkle’s, Widowmaker and The Bag – for the best burgers in ski country. 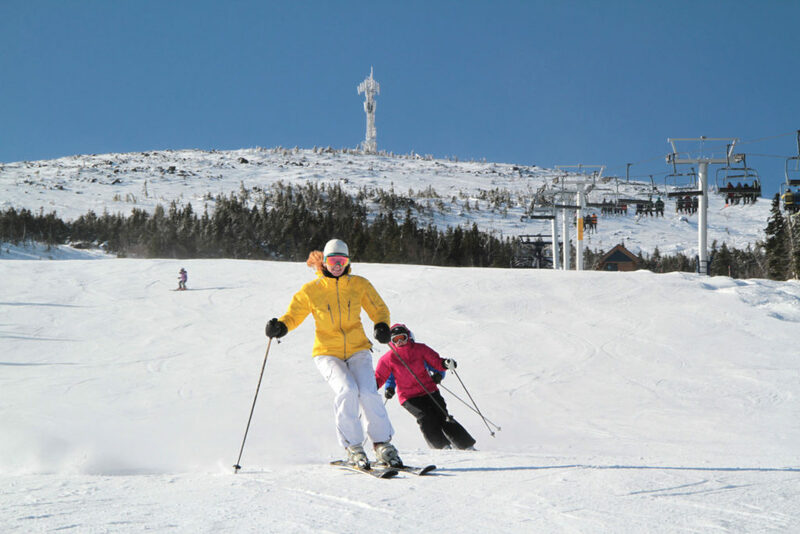 You can rent a ski in ski out condominium at Sugarloaf, or stay at the four-diamond Sugarloaf Mountain Hotel. 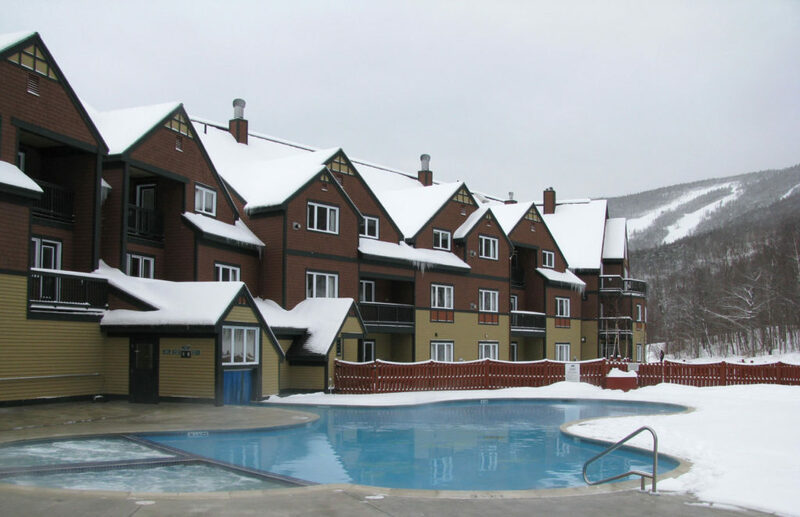 Ask for the 5-bedroom private penthouse suite at Sugarloaf if you really want the best. 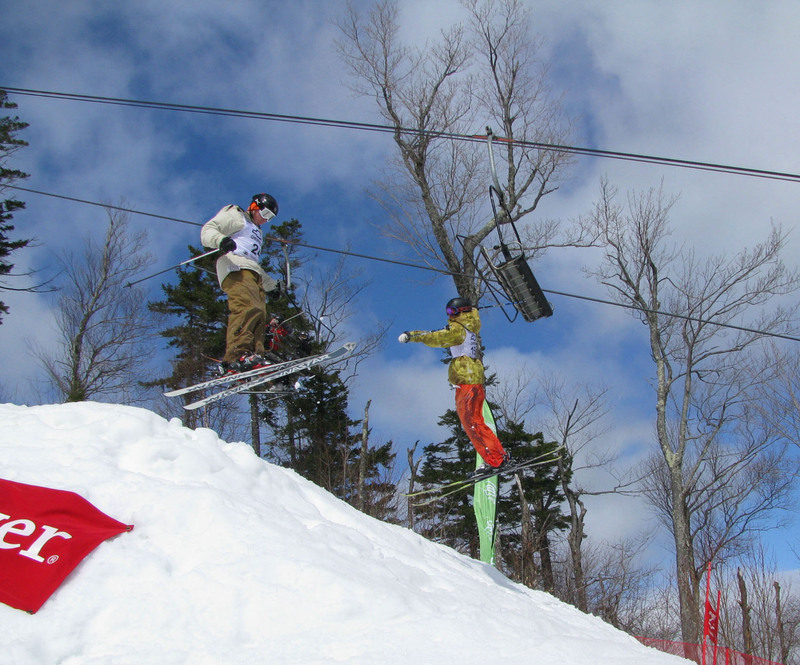 Après ski at The Loaf, you can walk to the village bars, or take the shuttle down to The Rack, Seth Westcott’s barbeque and cool hang out. 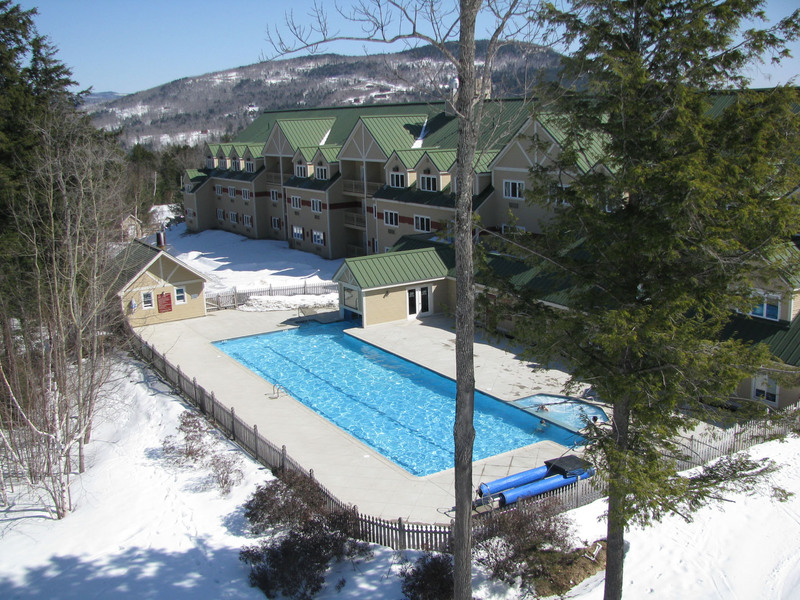 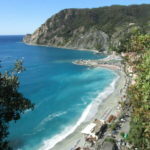 Or hit the 30-person hot tub at the Hotel, with a chairlift passing overhead above the soaking partiers. 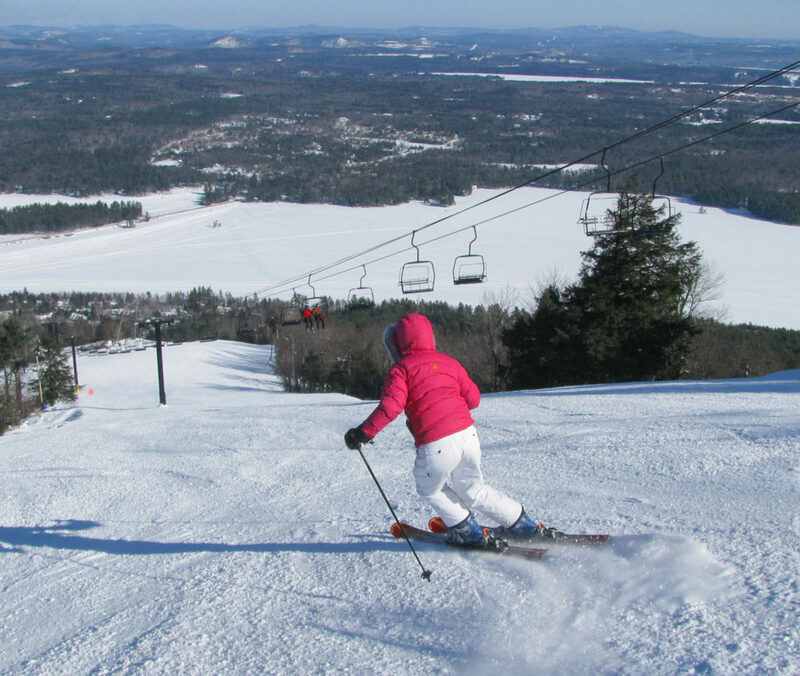 So while most travelers think of Maine for summer, biking, boating, and beach vacations on the coast and the Lakes region, we love Maine during its longest season – winter, as a top ski destination!